A dataset providing the background, list of solutions and outcome for the signposting innovation lab. 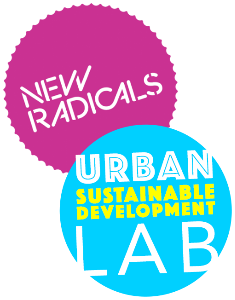 The lab was held on Monday 18th April 2016 and commissioned by Citizens and Communities, Leeds City Council. 1) The council and partner agencies want to ensure that no matter where someone seeks help in the first instance (e.g. the council contact centre, one stop shops etc. ), they receive the same standard of advice each and every time. We also want to empower citizens to help themselves – signposting them to a variety of services across the city. Providing this information in an easy to use and understandable way will mean they can take control of their own lives. 2) Tackling Domestic Violence has been identified as a key priority in the city and there is a project underway involving a range of partners including the voluntary sector. We need to ensure that victims of abuse and perpetrators can easily access support where and when they need it. Sometimes, an individual will need to take quick and decisive action to remove themselves from a difficult situation. We want to ensure that the best possible information and advice is available to help people make decisions. It is important to address underlying issues not just concentrate on what is most apparent. Crisis dashboard developed into a proof of concept and being evaluated as part of an ongoing trial.